In the south-central part of Slovakia, Lucenec became the foundation of culture and commerce in Novohrad region. The surroundings of Lucenec were previously inhabited during the stone and bronze age. Lucenec (which is named after a river), originated from the earliest Slovak settlement. The first historical and cultural occurrence from Lucenec dates back to the year 1128 of the construction of a chapel, then at the end of the 12th century a monastery was frected at a crossing of trading routes. The first written document about Lucenec dates back to August 3rd , 1247 of Luchunch, the letter of king Bela the IV. The town then entered in historical literature due to the “Battle of Lucenec” in the year of 1451, where the military forces of Jan Jiskra of Brandyz defeated the dominating army of Jan Hunyadi. The heraldy of Lucenec is a story of a pelikan feeding its three young chicks with its own blood, this has been told since the 16th century. The inhabitants of Lucenec worked as a society of merchants and tradesmen with a common interest in agriculture and the production of arts and crafts. By the end of the 19th century, Lucenec came to be a center of industrial force. 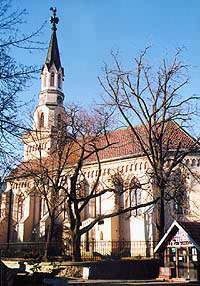 The town has also been destroyed by fire several times in the years of 1451, 1622 and 1849.
there were two other synagogues built in 1863 an 1930, but they do not exist today. There are five mansions in Lucenec with impressive architectural designs, out of all of them, the most distinguished are; the Reduta (built in 1810) and the Town hall (built in 1894). Other important buildings in Lucenec are; the Novohrad Museum, The Gallery and a Grammar School (with 400 years of tradition). In 1991, for the interest of the people and for the protection and preservation of the monuments, the historical part of the town center has been declared as a “Historical Monument Area”. The town of Lucenec has more than 300 years of traditional markets and fairs and still function as an important role of a business center for consumers interested in variety of materials and merchandise, there is a selection of wholesale and retail stores that offer a wide range of products from groceries to building materials and building machines. Lucenes is also a meeting point for businesses and their products from all over the world; but the most common business relations come from Hungary due to the advantages of the town position, which lies closely to the Slovakian and Hungarian border. The town of Lucenec is easily accessible for domestic and foreign visitors. It is an important junction for highways and railways connecting Bratislava with Kosice and Warsaw with Budapest, with also access to Hatvan, a town that is well connected with the European highway network. From Lucenec, the nearest local airport is 5 kilometres away, and the nearest international airport, which is in Budapest, is only 150 kilometres away. In 1996, as the first town in Slovakia for their formation of civil, cultural and charitable business enviroment, Lucenec was awarded the prestigeous prize “Golden Business Medal”. Today, public institutes, financial institutions, private companies, as well as branches of some universities are being newly established in Lucenec. The inception of the Congress center in Lucenec produced more space for further development in this region. The variety of functions and services being offered gives the complex signs of precedents in the central Slovakia area. The building was built at the end of 18th century to the beginning of the 19th century. It is the seat of the regional Business and Industrial Chamber and other institutions. It offers services for domestic as well as foreign congress, education, courses and exhibition. For the participants there is the congress hall, conference and negotiation rooms, plus several restaurants are available. 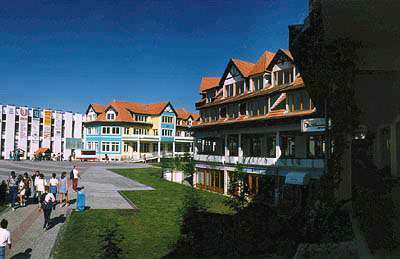 The three star hotel offers accommodations of European standards. On the ground floor of this building there is situated the longest historical passage in Slovakia with plenty of stores, restaurants and bars, plus two banks that offer their service here. The organizing of international exhibitions in the Business Zone is helping to increase the development of businesses. The Business Zone is formed by a system of large flexible business halls and single polyfunction sectors. Project "Business Zone" originated in Lucenec in 1992 and still remains intact due to its conception and intention among the countries of Central Europe. The activities for businesses and exhibitions are concentrated on an area of 40,000 m2 with a direct connection to already existing business zones of the town center, the historical center and the congress center. The halls, with an area of 40,000 m2 are directed for the purpose of exhibiting activities of fairs and permanent expositions. Around the whole area of the Business Zone are the polyfunction sector buildings. Banks, insurance companies and subjects of the business sphere and services are establishing their branches here. Another remarkable attraction of Lucenec is the town park with a number of valuable trees and bushes. It is only five minutes away from the main square. The park offers a pleasurable scenery and is viewed by people as a place for relaxation. On an area of 17 ha with 35 species of trees and bushes from foreign countries (10 of them are coniferous). The location is 200 metres above sea level, in "A" category of area of soils. The park has been built in a French, English and Countryside garden style. 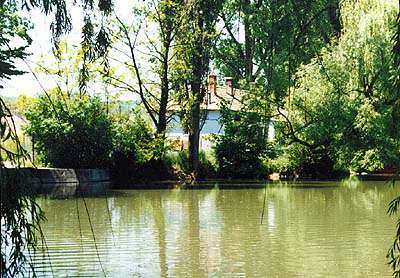 Through the park flows the "Tuhar" stream and a small stream which goes into an artificial lake. From the trees and bushes, the following deserve to be mentioned, the Hoarfrost Fir, the Katalp Bignonoivit, Black Pine, etc. The park and the historical greenery are on the Stated List of Cultural Real Estates. In 1897, the Historical and Archaeological Commission was founded in Lucenec, with Ferenz Kovacs as the chairman. In the years of 1906-1907, more than 2000 objects were collected. These precious objects were placed in the laboratory of the Grammar School in Lucenec, but during the revolution years of 1918-1919, the objects have cease to exit. In 1971 the museum was officially named the "Novohrad Museum". Part of the expositions was transported over to Lucenec in 1977. 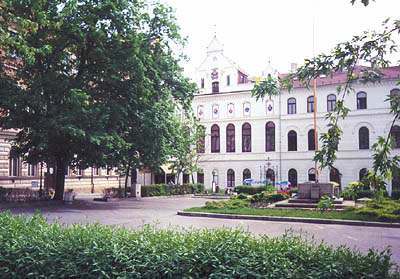 In 1984, Lucenec became the seat of the Novohrad Museum. The activities of the museum are aimed at the ethnographical sphere of collecting objects which represents the traditional handcrafts in the Novohrad Region ( ceramics, glass, stoneware, furniture, tools, objects of daily use) and at the sphere of surveying of the history of Lucenec. In the year of 1986, there were 24 945 objects in the museum´s possession.